Are you looking for traditional wood siding? Have no fear, we carry that as well! 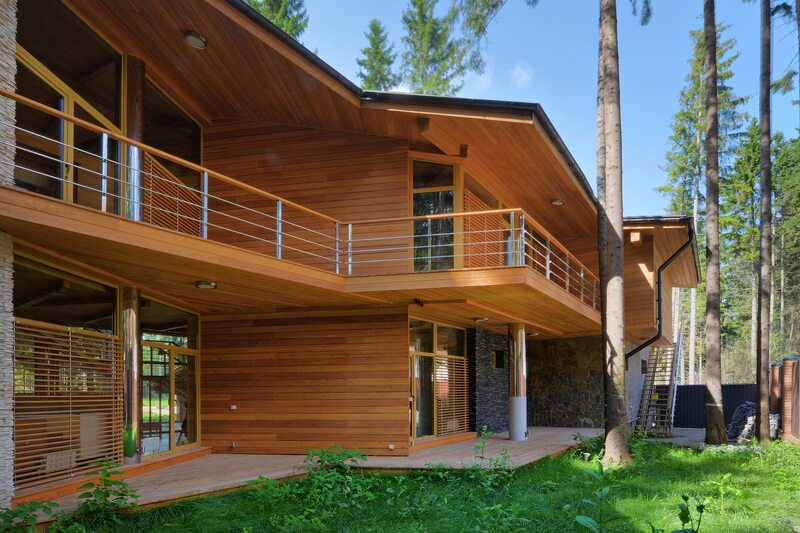 Take advantage of our vast selection of real wood siding- such as cedar, pine and beetle kill pine. We are able to match existing profiles and stock many different types of siding ready to pick up today. Depending on the type of lumber and pattern you select, it is adaptable to a wide variety of regional preferences, architectural styles, and climates. Siding products are generally categorized as either premium or knotty grades. A premium grade will have fewer features such as knots, pitch streaks, and so forth. While a knotty grade typically will have sound, tight knots. Choosing the right grade will be determined by the type of look you are trying to achieve. Wood siding is so easy to install, that most homeowners can do it themselves. Because it is such a common product, it is readily available and can be installed quickly. Wood is the definition of biodegradable, making it one of the most ecologically friendly types of siding. What could be more environmentally friendly than a real wood product? We supply premier channel siding for homes across Colorado. When you want a rugged wood siding that stands up to the Colorado weather, channel siding gives your house the style and protection it needs. Our natural siding fits almost every setting, from snowy mountain cabins to cozy suburban neighborhoods. Channel siding gives homeowners versatile style options with a consistently rustic look. Most people install this siding horizontally. However, you also can create unique visual effects by installing our products vertically, diagonally, or as a combination of all three. Channel siding encourages water and snow runoff in wet weather and encourages excellent breathability throughout the year. Channel siding is normally supplied in unseasoned knotty grades. The face side is saw textured. You’ll commonly find available sizing in 1x6, 1x8 and 1x10. Channel siding is easily installed and material waste is minimal. When you picture traditional siding, the first thing to come to mind is the bevel siding style. Whether you need siding for your new or existing home, we can provide premium bevel siding in Colorado to fit your budget and style. Some people know this profile as clapboard, which has been protecting and beautifying houses across the country for hundreds of years. Bevel siding is the most widely-used wood siding. It’s available in clear and knotty grades and is made by resawing lumber at an angle to produce pieces thicker on one edge than the other. The manufacturing process of bevel siding results in pieces with one face saw textured. The other face of the siding is smooth or saw textured depending on the grade and customer preference. Bevel siding is installed horizontally and gives an attractive shadow line which varies with the thickness of exterior siding selected. 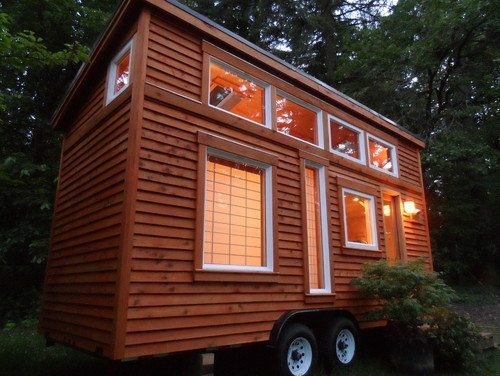 Western Red Cedar is among the most popular wood choices for bevel siding due to its warmth, beauty, and durability. It gives homes and cottages a casual charm, though it is also ideal for more prestigious applications. However, softwoods such as Pine, Spruce, and Fir are cost effective options as well. 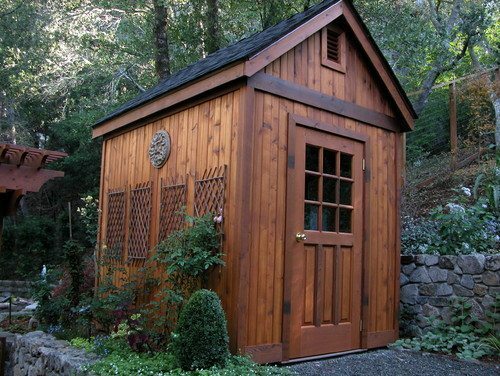 Whether you’re building a new shed or updating the look of your home, siding plays a key role in protecting your structure against the elements. You can purchase shiplap siding through us at an affordable rate. When correctly installed and maintained, shiplap will last for years to come, so you can count on it for maximum protection. With the overlapping board design provided by shiplap wood siding, this enables the siding to withstand cooler climates and ensures for quality insulation. If you’re looking to cut back a little on your heating bill, shiplap can help get the job done. Shiplap siding is incredibly durable, versatile and easy to install. Installation is so easy, any level of builder can do it and you’ll only need a hammer and saw to get the job done! Plus, the design allows for easy removal and replacement – so maintenance isn’t an issue, either. Did you think shiplap siding was only for use on your home’s exterior? Think again. Most people think of exterior projects when they think of shiplap siding, but what they don’t consider is what shiplap can do for your interior. It adds a lot of charm that you might not be able to otherwise achieve. It’s an easy way to create a stunning impact in any room, while still keeping things simple. Have a plain white kitchen with basic counter and cabinets? Want to keep white walls while still giving the room interest? Shiplap siding is your answer, especially if you are going for a cottage or lake house look. Quality wood siding does more than protect your home—it creates a traditional, clean design that changes the whole aesthetic. If you want to replace the siding on your home, consider installing tongue and groove siding. Tongue and groove siding, fits wood boards together, edge to edge, allowing two flat pieces to be joined strongly together to make a single flat surface. It is solid wood, precision milled and reversible, giving you more options. Installation is super easy- even a do it yourselfer can do it! Tongue and groove siding can be installed horizontally or vertically. If installing horizontally, start at the bottom and work up with the groove edges facing downwards. Siding up to 6 inches wide can be blind nailed with one siding nail per bearing toe-nailed through the base of each tongue. Wider siding should be face nailed using two nails per piece- penetrating 1-1/4 inches into solid wood. 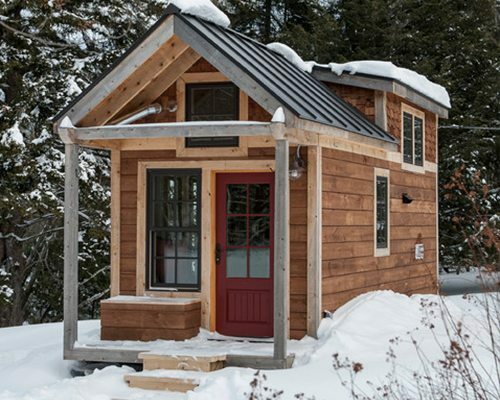 Looking for the look of a rustic mountain cabin without the hassle and cost of using full log timbers? 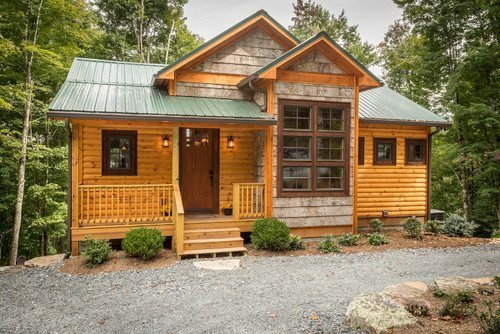 Stay connected to the great outdoors while enjoying the comfort and modern conveniences of home with log lap siding! 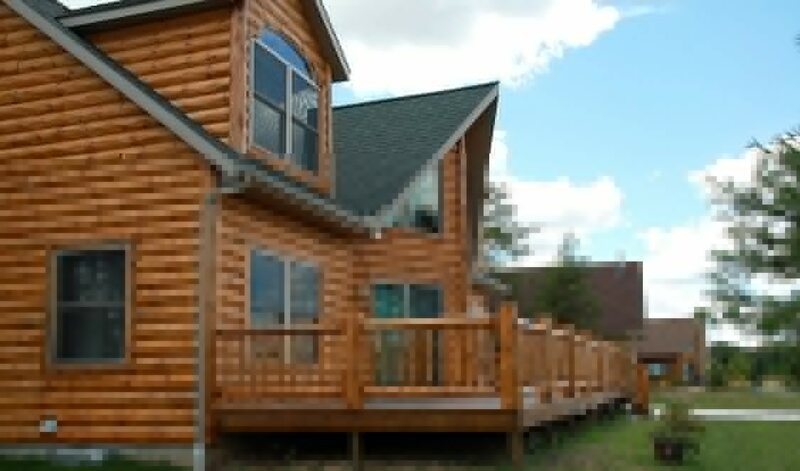 Create an authentic log cabin look at a fraction of the cost of actual log homes with log lap siding. Log lap siding is more cost-effective than using real logs, because it is mass produced. The material is easier to install than real logs, so your installation costs will also be lower. Adding log lap siding to your home will look beautiful and increase your curb appeal. Not only will it increase your home value, but it will also help with insulation and save on energy costs. Because log lap siding is made from real wood, you will not have to worry about painting or staining the material, unless desired. Also, because the entire log is not being used in the production of log lap siding, material waste is minimized. This eco-friendly product is perfect for any environmentally conscious homeowner.